The first in our revived Guild Spotlight series focuses on Guild Not Found, Albion's foremost Italian-speaking guild. 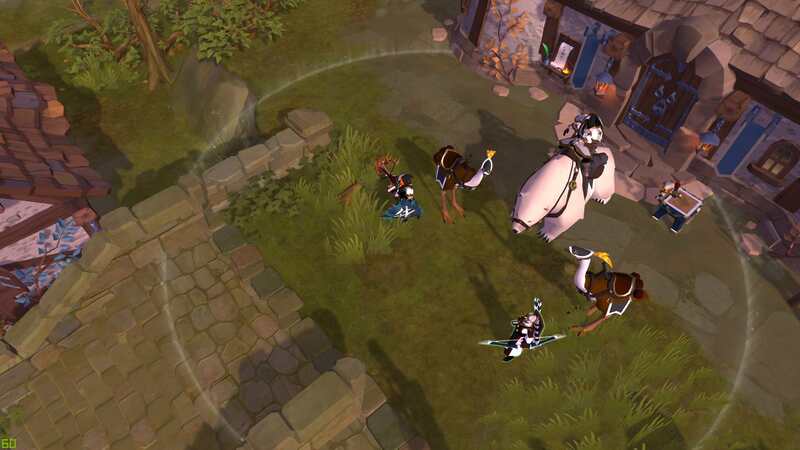 Guild Not Found, Albion Online's largest Italian guild, was formed in September 2017 in an attempt to unite the Italian community that was scattered throughout the server at that time. The guild started small and worked hard to grow their ranks, eventually joining the Partnership of Equals alliance where they met another Italian community, the Dread Pirate Roberts. This group had history within the game, and the two decided to join forces. Currently, they are one of the oldest guilds in the POE alliance apart from Crimson Imperium Reborn and Infinite. Tell us about your guild. What sort of activities do you focus on? What sort of members are you looking for? It was hard in the beginning because Italians in every game tend to play "their game", so having a common objective is not that easy. But we worked our asses off and now here we are. We pretty much do every kind of activity you can find within the game. We do Hellgates, ZvZs, ganking, and so on. Obviously there are members who are more focused on a particular kind of activity, and they join up with others who enjoy the same kind of activity. We are a community of players before characters – we tend to joke and laugh a lot, and we even had our first IRL meeting in July 2018. We're looking for members who like to play in a group, who can get the job done, and who are working towards a positive and chill play environment. We don't want people who only play alone or put their own objectives before those of the guild. The first thing we ask is to play WITH the guild, which is in our opinion very different than playing FOR the guild. Where is your guild primarily located? What regions in Albion do you focus on? We have a town plot located in Saddle Pound with few territories near it, although we focus pretty much on Cumbria where our alliance is mostly located. We are lucky that our territories are pretty near to the zones we fight for, so most of the time it's a pretty fast trip. Do you have any particular rivalries or ongoing quarrels with other guilds? Not in particular. We tend to have some "heat" chat with other little Italian communities that are playing, but it's a "normal" grudge, nothing special. As members of the POE alliance, we fight very often against ALONE (now POWER), so if I had to choose a "nemesis", it could be that alliance. What were some of your most memorable battles/activities? For sure it was during the second reset in January 2018, where we saw battle mounts in action for the first time. It was a period where those mounts were really powerful and could turn the tide of a fight alone. We were a flanking group for the main zerg of the alliance and SUN were trying to capture a territory in the southern part of Cumbria. We did a perfect flank while SUN was in the territory and we managed to charge through their line, while our guys conquered their fear of being killed by a battle mount to achieve a perfect engage. Unluckily the mount managed to run away, but we still won the fight. Another great fight we had was when 25+ Guild Not Found warriors (as you can see in the video below) fought a bloody battle for a castle in Bleak Moor. What does your guild do for fun? What is your guild's approach to the game? Do you have any sort of overarching philosophy? The only thing we ask is that our members play WITH the guild. Play together, have fun together. It's a game, so the main objective is to have fun. Sometimes you have to do activities you don't like, but doing these with the guild makes it less painful. Sometimes you have a hard day at work, so you just log in and chill with your friends in the guild. We offer a lot of content for those who join us because we want our members to be happy with us – nothing more, nothing less. What are your goals for the future? What is your ultimate goal in the world of Albion? Our goal for the future is to have an established GvG team. Things keep coming up, and we feel like we need to fix things or start all over. We are putting lot of effort into it, and starting in September, when the holidays are over, we feel that we will be ready to resume stronger than ever. Our ultimate goal is to prove that Italians are not just wanna-be-pros or toxic players, but that we can give a lot and can be united and devoted to a common cause under a single flag, a thing that has not happened very frequently in games in the past. Anything else to share about your guild? If you pass through Italy on holiday, feel free to ask us for recommendations! Jokes aside, We are really thankful to the Partnership of Equals alliance for the opportunity they gave us in the beginning. We've grown a lot and make a very strong bond between our guild and other guilds in the alliance, and that is a really beautiful thing. But mostly I want to thank all the members of Guild Not Found that fought for us in the past, that fight for us now, and that will fight for the days to come. We are still here because of the commitment everyone put in while they were with us, even those who were with us for just a single day or those that decided not stay with us in the end. 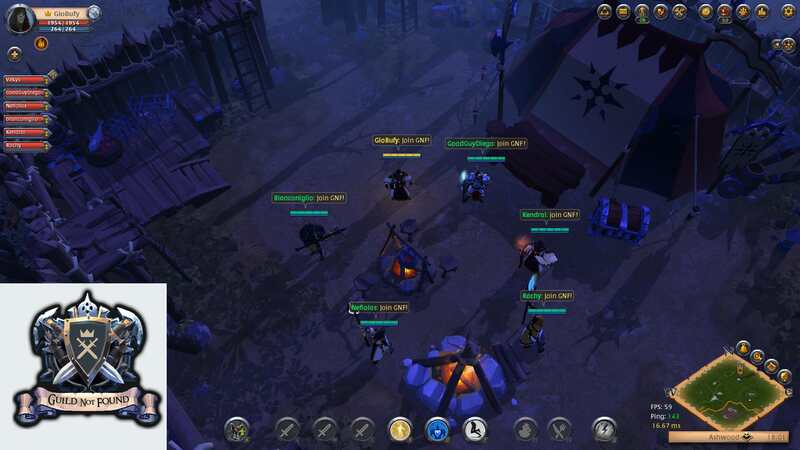 Guild Spotlights is a series intended to introduce Albion's numerous guilds to the community at large. If you'd like your guild to be featured, please message PrintsKaspian or Evoque via the forums.